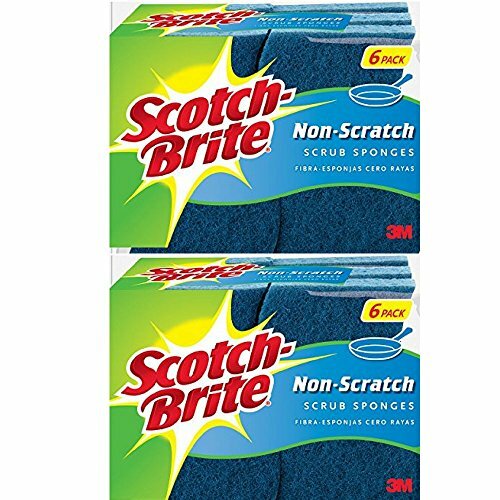 Scotch-Brite Non-Scratch Scrub Sponge The Scotch-Brite Non-Scratch Scrub Sponge means no worries, no scratches, no excuses! It wipes away messes from nonstick cookware, countertops or any other surface with a finish you don't want to scratch. And, its wavy shape is comfortable to hold. Just sanitize in the dishwasher and reuse!